There are various schemes for students to save money on everything they need from weekly shopping to computers. We’re going to look at the main two in the UK, Unidays and the NUS card. Unidays provides students with some great discounts, see below for what is currently on offer. 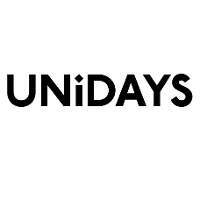 To get a Unidays account you MUST be attending a college or University which provides you with an email address directly from that institution. Once you register, an email will be sent to that address and you will need to verify your student status by replying. You must be at least 16 years of age. If you are 16 to 17 years of age, you will need the consent of a parent or legal guardian. Unidays subscription is completely free of charge and lasts for as long as your college or Uni course runs for. 40% discount on UK services using express24 and express48 parcel services at Parcel Force. 30% discount when you dine at Zizzi, Ed’s Easy Diner, Pizza Express and Giraffe. 15% off National Express journeys. 3 months free trial for Apple Music. Plus many more, see full list here. The National Union of Students extra card is available to anyone studying in the UK who are registered with an affiliated university or college. NUS card discounts are available at a wide range of retailers and entertainment. The NUS extra card is available to students aged 16 or over, studying full or part-time in Further or Higher Education. To be eligible, your course should require at least 10 hours study weekly for a minimum of 12 weeks. Courses carried out by professional learners should be a recognised, accredited course. Once you are enrolled on an accredited course, click here to apply. Your NUS card will be mailed to your address in a few days. The current NUS card price is £12 per year. And much more available here. Can I get a NUS card if I'm not a student? No, you do need to be registered as a student in the UK. HOWEVER, there are ways to get an NUS card without needing to actually study! The best way to do this is to register for a cheap online course with a provider who is affiliated with the NUS. 1. Find a course online that is affiliated with the NUS. 2. You can check whether or not you will be eligible to apply for an NUS card by starting the registration process here. 4. When asked for your YOUR COURSE start entering the letters of the course provider that you have found, e.g. New Skills Academy. If the institutions name pops up then you will definitely be eligible to purchase an NUS extra card. 5. Buy the online course and register with them, don’t worry you won’t need to do any actual studying unless you want to! 1. Go back to the NUS registration page here. 2. Enter the start and end date of the course. 3. Choose the level of course you are studying, ‘Professional/Vocational’ would usually work. 4. Choose a course discipline, or the closest option to it. 5. Pick the length of the NUS card that you are wanting to purchase, the options are 1-3 years. 7. Enter personal details, including a student number which your online course provider should have sent to you. 8. Pay. If your get the one year membership it is only £12 (plus £1.50 for delivery). 9. Wait for you card to arrive and start saving! While I personally enjoy the benefits of my NUS card. That we all love to tout about. At the same time, I’d rather the likes of Unidays doesn’t get exploited. All for getting stuff for better prices. If everyone does it, those perks dry up for everyone. Including those they are targeted at. Before anyone shouts but students shouldn’t get cheaper deals. Today’s students will have massive debts after Uni and will probably retire into their 70s. So why shouldn’t they get a few perks before society on them any more. Join one of those free courses. Not for unidays normally works for NUS but not the main one. sign up at a website called ucas and apply through there via one of their affiliates who on the whole all provide unidays access without complex loopholes. there may be a delayed financial commitment but it won't kick in for a while and that 8% off miss selfridge will be more than worth it! I'm glad this thread went the way it did. sorted, ps it’s a bargain hunters website. ‌ sorted, ps it’s a bargain hunters website. While I personally enjoy the benefits of my NUS card. That we all love to …While I personally enjoy the benefits of my NUS card. That we all love to tout about. At the same time, I’d rather the likes of Unidays doesn’t get exploited. All for getting stuff for better prices. If everyone does it, those perks dry up for everyone. Including those they are targeted at. Before anyone shouts but students shouldn’t get cheaper deals. Today’s students will have massive debts after Uni and will probably retire into their 70s. So why shouldn’t they get a few perks before society on them any more. Most spend their money on cannabis and alcohol. I have no time for them. Our future is to be run by chavs, we're doomed. Most spend their money on cannabis and alcohol. I have no time for them. …Most spend their money on cannabis and alcohol. I have no time for them. Our future is to be run by chavs, we're doomed. It took you 10months to come up with that stereotype. Wow, and they say the yoofs have no respect. It took you 10months to come up with that stereotype. Wow, and they say …It took you 10months to come up with that stereotype. Wow, and they say the yoofs have no respect. Nope. I just saw the thread for the first time obviously. Respect has nothing to do with what I said. Not a stereotype. My daughter is at college, she sees it all the time and hates it. A quiet street near us is frequented by chavs that sit in their cars as soon as its dark to puff away on their joints, sad little bunch of junkies, it's gone on for years, no Police available these days so they don't care. They're were 7 of them last night, less than a mile away is a university, it's well known they're from there. Seen it all over the country, they love green spaces and think they're out of sight but they stand out like a sore thumb! Then they drive off under the influence of drugs and drink, would you be happy if one killed someone you love just because you think students are something special. I'm not judging based on stereotypes, I'm judging based on what I see myself. Nope. I just saw the thread for the first time obviously. Respect has …Nope. I just saw the thread for the first time obviously. Respect has nothing to do with what I said. Not a stereotype. My daughter is at college, she sees it all the time and hates it. A quiet street near us is frequented by chavs that sit in their cars as soon as its dark to puff away on their joints, sad little bunch of junkies, it's gone on for years, no Police available these days so they don't care. They're were 7 of them last night, less than a mile away is a university, it's well known they're from there. Seen it all over the country, they love green spaces and think they're out of sight but they stand out like a sore thumb! Then they drive off under the influence of drugs and drink, would you be happy if one killed someone you love just because you think students are something special.I'm not judging based on stereotypes, I'm judging based on what I see myself. Out of a population of how many students. You are stereotyping. Depending on area, quality of college and prospects. There will always be a percentage that show these traits. It is unfair to label them all as such. As for them driving off. I’d feel just as bad if it was a middle aged professional, enjoying a bottle of wine or 2 with dinner at night and being over the limit the next morning. Just because people aren’t hanging about in parks or street corners, you can’t be complacent about other members of the population. Out of a population of how many students. You are stereotyping. Depending …Out of a population of how many students. You are stereotyping. Depending on area, quality of college and prospects. There will always be a percentage that show these traits. It is unfair to label them all as such. As for them driving off. I’d feel just as bad if it was a middle aged professional, enjoying a bottle of wine or 2 with dinner at night and being over the limit the next morning. Just because people aren’t hanging about in parks or street corners, you can’t be complacent about other members of the population. 1200 odd at her college and over 1000 at the nearby uni. This is in Bedfordshire. The Police visit once or twice a year and give talks but it falls on deaf ears. Seems its cool to them. As for the number of offenders, at her college easily over 100 do it, they boast about it too (they think it's cool). At the Uni, similar number if not higher. Numbers will be similar all over the country, it's a 'thing'. if I was a student I’d think twice about lining the pockets of this man! Horrible! Interesting article about unidays: …Interesting article about unidays: https://thetab.com/uk/2019/01/10/unidays-ceo-accused-sexual-harassment-and-bullying-89228if I was a student I’d think twice about lining the pockets of this man! Horrible!